I can't tell you, for certain, if the Rapture is going to happen at the beginning of the tribulation, the middle or the end. What I can tell you is that it defiantly will happen, and that it is not the "second coming" of Jesus at the end of the age. I can only go by what the Bible says. In the rapture Jesus meets us in the clouds, which is the meeting place. At the second coming, Jesus will come with His saints and "land" on the Mount of Olives. One event happens in the air while the other happens when Jesus touches the earth. The rapture will be when Jesus comes "for" His saints in the air (1 Thessalonians 4:16-17 " For the Lord himself shall descend from heaven with a shout, with the voice of the archangel, and with the trump of God: and the dead in Christ shall rise first: Then we which are alive and remain shall be caught up together with them in the clouds, to meet the Lord in the air: and so shall we ever be with the Lord. ), while the second coming is when Jesus comes "with" His saints (1 Thessalonians. 3: 12-13 " And the Lord make you to increase and abound in love one toward another, and toward all men, even as we do toward you: To the end he may establish your hearts without blame in holiness before God, even our Father, at the coming of our Lord Jesus Christ with all his saints."). Mark 13: 24-27 says: " in those days, after that tribulation, the sun shall be darkened, and the moon shall not give her light, And the stars of heaven shall fall, and the powers that are in heaven shall be shaken. And then shall they see the Son of man coming in the clouds with great power and glory. And then shall he send his angels, and shall gather together his elect from the four winds, from the uttermost part of the earth to the uttermost part of heaven." This is the gathering of those who came to know the Lord during the tribulation. The144,000 Hebrew witnesses, 12,000 from each tribe, are included here. On one of his TV shows, Dr. David Reagan conducted a man on the street, interview skit, asking what the rapture is. There were as many answers as there were people. Most, even the Christians, didn't know what it was. As I watched the skit, I realized that my best answer would be, it is "my hope". Most modern churches don't teach much about the end times, even though all signs point to the end of the age being very close. Respect the true church (the body of Christ); it is standing in the way of your destruction. When the church age is over, the judgment of the world is imminent. The world will not recognize the rapture because so many “Christians” will be left behind. Only ‘Born Again’ Christians will be taken. Those who are pretending to be Christians will be left behind. The world doesn’t recognize the difference now and they won’t then. The rapture will be a sign, to those who are left behind (although some may try to explain it away as alien abduction, or something else just as ridiculous). The restrainer is the Holy Spirit. The indwelling Holy Spirit, in the Christians (the church), is the restraining influence keeping Satan and his minions from running roughshod over this present dispensation. 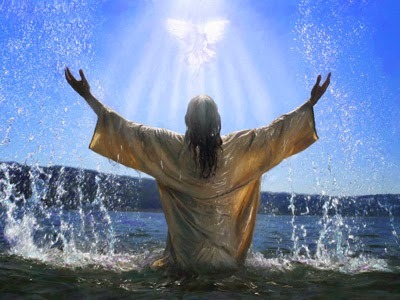 When the Church is raptured, the indwelling of the Holy Spirit will go with it? The Spirit will revert back to working the way He did in the Old Testament. Jesus said the Holy Spirit will be with born again Christians forever. 2 Thessalonians 2:7 says: The Holy Spirit will never leave us. Thus, when He is taken away we will have to go with Him. We can’t be here if He is not. "If all the church are to pass through the tribulation, then instead of waiting and watching 'for the Lord' we should be waiting and watching 'for the tribulation', which is contrary to the teaching of Christ Himself. Matt.24:42-44" emphasis added (Clarence Larkin, "Dispensational Truth") Luke 17:26-30 says: "And as it was in the days of Noah, so shall it be also in the days of the Son of man. They did eat, they drank, they married wives, they were given in marriage, until the day that Noah entered into the ark, and the flood came, and destroyed them all. Likewise also as it was in the days of Lot; they did eat, they drank, they bought, they sold, they planted, they built; But the same day that Lot went out of Sodom it rained fire and brimstone from heaven, and destroyed them all. Even thus shall it be in the day when the Son of man is revealed." God took His people out of danger, like He will in the rapture. Jesus will not be revealed to the world at the rapture, but He will be at His second coming (second advent) . "The religious people of two thousand years ago missed His First Coming because they had misinterpreted the prophecies. They rejected Spiritual Revelation in favor of man-made interpretations of the Messiah's Coming. Only a few recognized His First Coming because they based their thoughts on Spiritual Revelation. 1 Corinthians 15:51-53 tell us: " Behold, I show you a mystery; We shall not all sleep, but we shall all be changed, In a moment, in the twinkling of an eye, at the last trump: for the trumpet shall sound, and the dead shall be raised incorruptible, and we shall be changed. For this corruptible must put on incorruption, and this mortal must put on immortality." Luke 17:34-36 gives us the time of day the Rapture will occur. " I tell you, in that night there shall be two men in one bed; the one shall be taken, and the other shall be left. (Night) Two women shall be grinding together; the one shall be taken, and the other left. (Morning and Evening) Two men shall be in the field; the one shall be taken, and the other left. (Day)" In other words, it will happen all over the world at the same time. Perhaps this is why we can't know the day or the hour (different time zones). Revelation 3:10 says: “Because thou hast kept the word of my patience, I also will keep thee from the hour of temptation, which shall come upon all the world, to try them that dwell upon the earth.” We will not be dwelling upon the earth during the hour of temptation. 1 Thessalonians. 5: 9-10 says: "For God hath not appointed us to wrath, but to obtain salvation by our Lord Jesus Christ, Who died for us, that, whether we wake or sleep, we should live together with him". In John 11:25-26 Jesus said, to Martha, I am the resurrection, and the life: he that believeth in me, though he were dead, yet shall he live: And whosoever lives and believeth in me shall never die. so do you believe this?" He asks that question of you. 1 Corinthians 15:51-52 says: "Behold, I show you a mystery; We shall not all sleep, but we shall all be changed, In a moment, in the twinkling of an eye, at the last trump: for the trumpet shall sound, and the dead shall be raised incorruptible, and we shall be changed." 1 Thessalonians 4:13-18 says: "But I would not have you to be ignorant, brethren, concerning them which are asleep, that ye sorrow not, even as others which have no hope. For if we believe that Jesus died and rose again, even so them also which sleep in Jesus will God bring with him. For this we say unto you by the word of the Lord, that we which are alive and remain unto the coming of the Lord shall not prevent them which are asleep. For the Lord himself shall descend from heaven with a shout, with the voice of the archangel, and with the trump of God: and the dead in Christ shall rise first: Then we which are alive and remain shall be caught up together with them in the clouds, to meet the Lord in the air: and so shall we ever be with the Lord. Wherefore comfort one another with these words." In John 14:27-28 Jesus says: " Peace I leave with you, my peace I give unto you: not as the world gives, give I unto you. Let not your heart be troubled, neither let it be afraid. Ye have heard how I said unto you, I go away, and come again unto you. If ye loved me, ye would rejoice, because I said, I go unto the Father: for my Father is greater than I." Luke 21:36 says: " Watch ye therefore, and pray always, that ye may be accounted worthy to escape all these things that shall come to pass, and to stand before the Son of man." Matthew 25:1-13 tells us the story of the ten virgins. Five were ready to be taken out and the other five were not 'born again'. Jesus told the ones who were not 'born again', "Verily I say unto you, I know you not". Of the ten Virgins: some had oil and the others didn't. The oil is representative of the Holy Spirit. Some were Christians and some were Christian in name only. "Watch therefore, for ye know neither the day nor the hour wherein the Son of man cometh." Be assured of your 'born again' status, before the Lord returns. Revelation 3:10 says: "Because thou hast kept the word of my patience, I also will keep thee from the hour of temptation, which shall come upon all the world, to try them that dwell upon the earth". We will not be dwelling upon the earth during the hour of temptation. 1 Thessalonians 1:10 tells us we will be delivered from the wrath to come. 2 Thessalonians 2:7-12 describes the Church being taken and antichrist revealed. Luke 21:36 says: "Watch ye therefore, and pray always, that ye may be accounted worthy to escape all these things that shall come to pass, and to stand before the Son of man." 2 Thessalonians 1:7-9 says: "And to you who are troubled rest with us, when the Lord Jesus shall be revealed from heaven with his mighty angels, In flaming fire taking vengeance on them that know not God, and that obey not the gospel of our Lord Jesus Christ: Who shall be punished with everlasting destruction from the presence of the Lord, and from the glory of his power;"
1 Thessalonians 3:13 says: "To the end he may establish your hearts unblameable in holiness before God, even our Father, at the coming of our Lord Jesus Christ with all his saints." Jude 1:14 tells of Enoch saying the Lord will come with ten thousands of thousands. Matthew 24:3-14 says: "And as he sat upon the mount of Olives, the disciples came unto him privately, saying, Tell us, when shall these things be? and what shall be the sign of thy coming, and of the end of the world? And Jesus answered and said unto them, Take heed that no man deceive you. For many shall come in my name, saying, I am Christ; and shall deceive many. And ye shall hear of wars and rumors of wars: see that ye be not troubled: for all these things must come to pass, but the end is not yet. For nation shall rise against nation, and kingdom against kingdom: and there shall be famines, and pestilences, and earthquakes, in divers places. All these are the beginning of sorrows. Then shall they deliver you up to be afflicted, and shall kill you: and ye shall be hated of all nations for my name's sake. And then shall many be offended, and shall betray one another, and shall hate one another. And many false prophets shall rise, and shall deceive many. And because iniquity shall abound, the love of many shall wax cold. But he that shall endure unto the end, the same shall be saved. And this gospel of the kingdom shall be preached in all the world for a witness unto all nations; and then shall the end come." Matthew 24:36 says: "But of that day and hour knows no man, no, not the angels of heaven, but my Father only." Acts 1:7 says: "And he said unto them, It is not for you to know the times or the seasons, which the Father hath put in his own power." 1 Thessalonians 5:1-3 says: "But of the times and the seasons, brethren, ye have no need that I write unto you. For yourselves know perfectly that the day of the Lord so cometh as a thief in the night. For when they shall say, Peace and safety; then sudden destruction cometh upon them, as travail upon a woman with child; and they shall not escape." But we must keep in mind that Daniel 2:21 says: God "changes the times and the seasons: he removes kings, and sets up kings: he gives wisdom unto the wise, and knowledge to them that know understanding:"
The urgent message, of this paper, is that we should 'keep looking up' because the Lord could come at any moment.